Whether you’re entertaining friends this Easter or enjoying the holiday among close family, preparing a comforting meal is top priority. 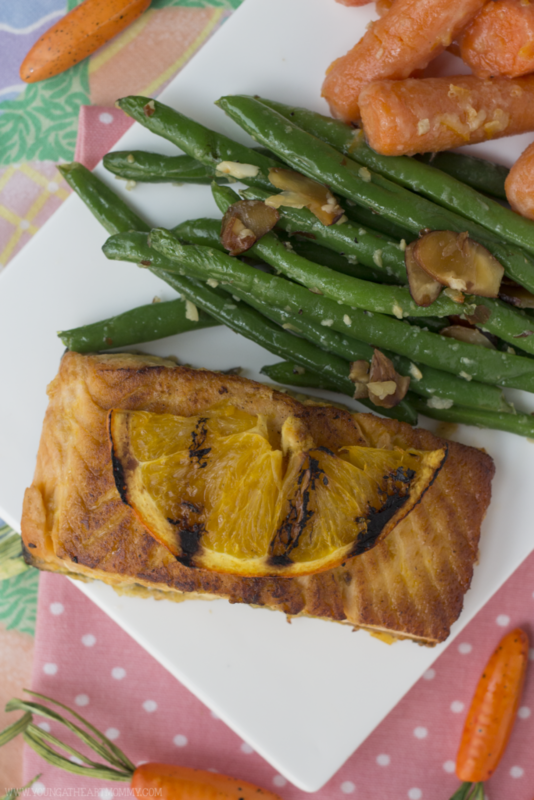 Regardless of the size, style, or menu – your feast is sure to be a hit when there’s variety. While the standout entrée may include a spiraled ham or roasted turkey, the side dishes are what really round out the main course. This is where savory vegetable recipes come in, adding color and fresh flavors to the spread. 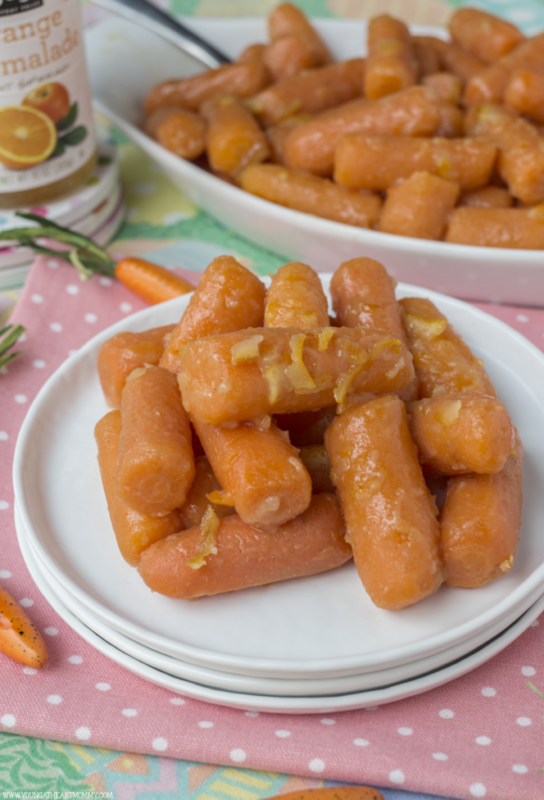 Venture away from traditional and try something new that’s guaranteed to surprise guests, like these tender baby carrots candied to perfection! Using my favorite 365 Orange Marmalade, fresh orange juice, and spices from Whole Foods Market, I put together a deliciously sweet glaze to coat this beautiful bowl of veggies. Let’s just call this recipe …. Carrot Crack. 1. In a medium saucepan boil two cups of water over high heat. Add a pinch of salt and drop carrots in. Cover and allow to cook for 10-12 minutes or until tender. Drain and set aside. 2. In the same saucepan melt butter and brown sugar together. Stir in orange marmalade and orange juice. Add white pepper, ginger, and salt while stirring continuously to prevent burning. 3. Add carrots into the mixture, folding them into the glaze as it thickens. Once each piece is coated evenly, transfer to dish and serve immediately. 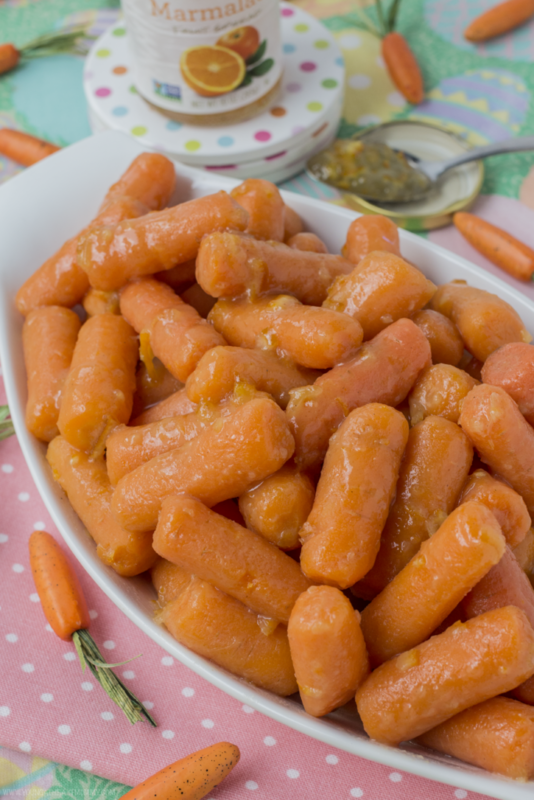 This recipe for Orange Glazed Carrots is not only different, but a quick and easy go-to that helps to make holiday meal prep stress free. After all, who wants to slave away in the kitchen while everyone else is having a good time? Not this girl! Add these to your menu and save the leftovers because they’re even better the next day. Seeking spice? A little cayenne pepper will go a long way. Tweak as you please and add a few orange peels for a beautiful presentation. If you already plan to have an extra special line-up of side dishes, consider checking out the mouth-watering options Whole Foods Market is offering for Easter and Passover. I’ll be bringing a few to the table this year as it saves me time and everything is always so tasty. 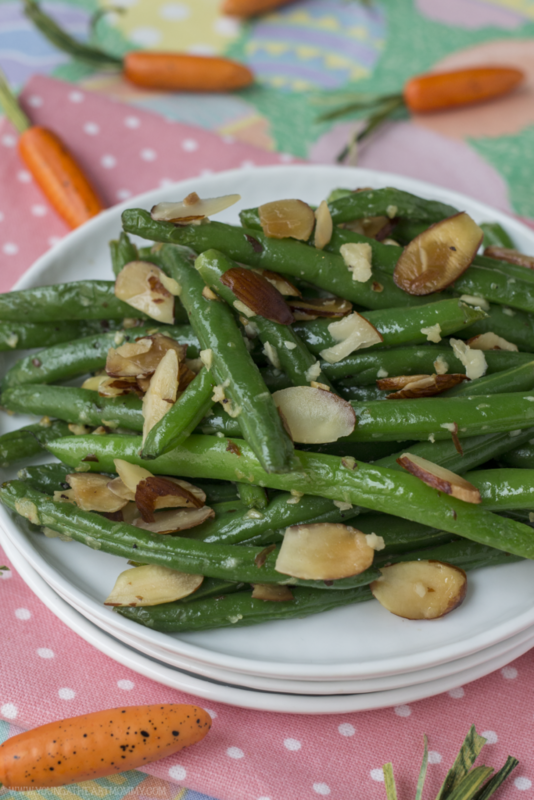 Green Beans Almodine are a must-have because they’re sautéed with butter, fresh garlic, and slices of toasted almonds. Simple yet so delicious. My family loves these, especially since they’ve now replaced the boring green been casserole I usually serve. That dish has been upgraded since I’ve let Whole Foods Market do the cooking instead! They also offer other twists on classic sides with their Black Truffle Mac & Cheese, Broccolini with Chili & Mint, Brussels Sprouts with Kale & Almond, and Garlic Rosemary Fingerling Potatoes. This Easter take advantage of their convenient catering service and order seasonal selections, appetizer platters, soups, desserts, and full heat-and-serve entrées for pickup at your local store. That’s everything needed to deliver a delightful and elegant meal to your family. 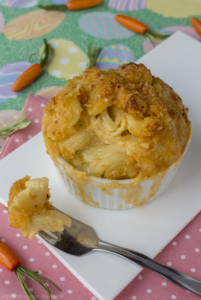 What kind of sides does your family enjoy during Easter dinner?